Lions President Janet Bauer presents Kathy Plumley with her award. Lions President Janet Bauer presents Joanne Withers with her award. Lions President Janet Bauer presents John Ash with his award. 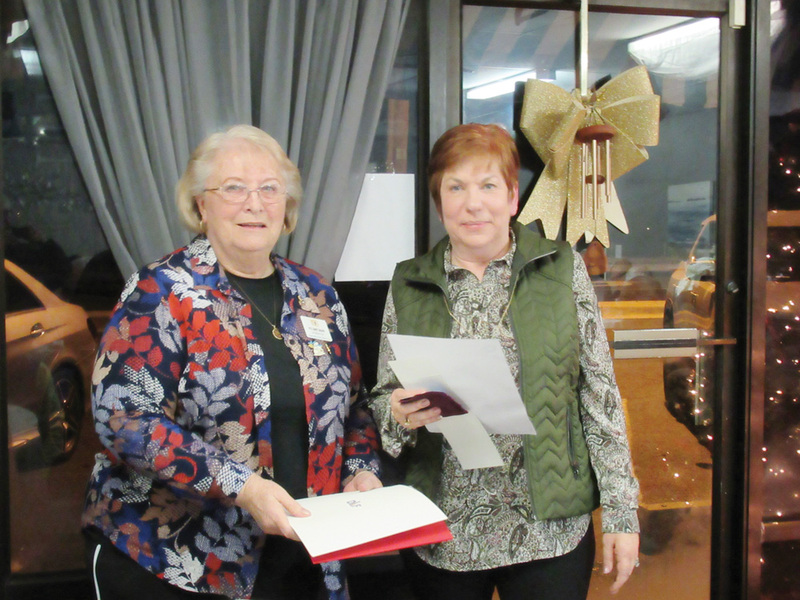 Lion Joanne Withers received a Life Membership in the Lions Eye Bank of Delaware Valley. 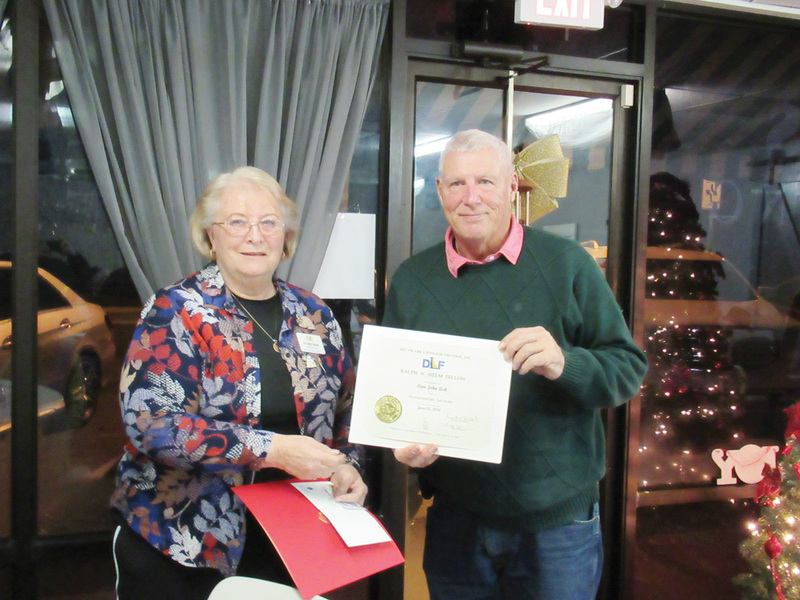 Other Lions Club members recognized included John Ash, who received a Ralph Helm Fellowship Award. 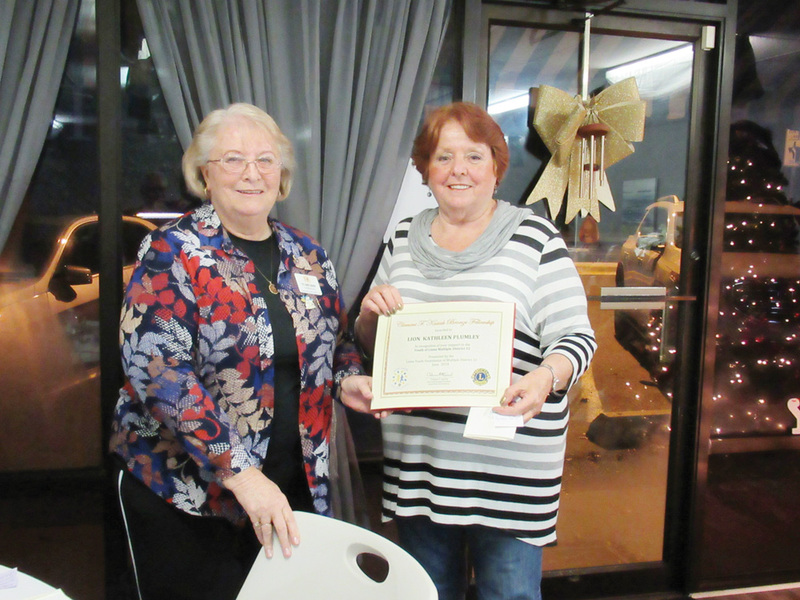 Finally, Lion Kathy Plumley was acknowledged for her work in the area of Lions membership. She also received a Kusiak Fellowship Bronze pin for her service from the Lions Youth Foundation. She serves the Lord Baltimore Lions Club as a member of the Communications Committee and also as editor of the Lions’ Facebook page. Membership in the Lord Baltimore Lions Club is open to men and women 18 or older. For more information about the group’s work and service to the community, visit www.lordbaltimorelionsclub.com, visit them on Facebook or call Bauer at (302) 537-5175.